No one can select a piece art for you – it has to be your personal choice – but an interior designer can present options and advise. If displaying art or buying new pieces is a consideration for you as you plan your project, get in touch with us and we will match you with a designer with the relevant knowledge, experience and contacts. Nicole Salvesen, of Salvesen Graham, is one such interior designer. 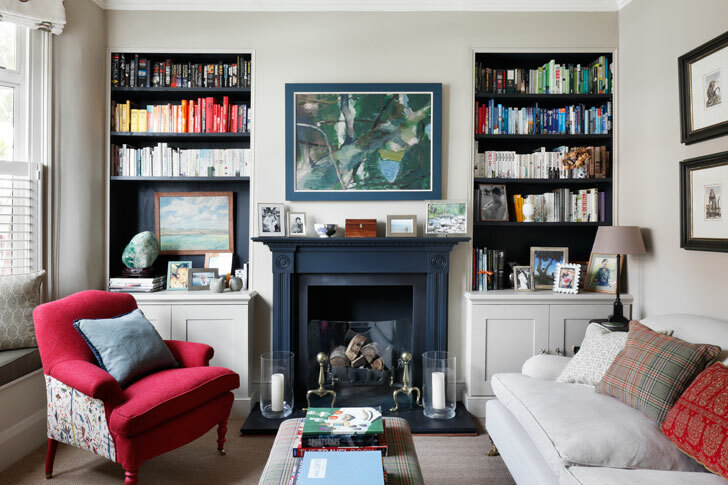 She has applied her integrated, layered approach to interior design on many schemes, from stately homes to contemporary apartments, and understands the important part that art plays in a home. ‘Art finishes a room and adds a personal touch,’ she says. ‘We always include it as part of an interior scheme. 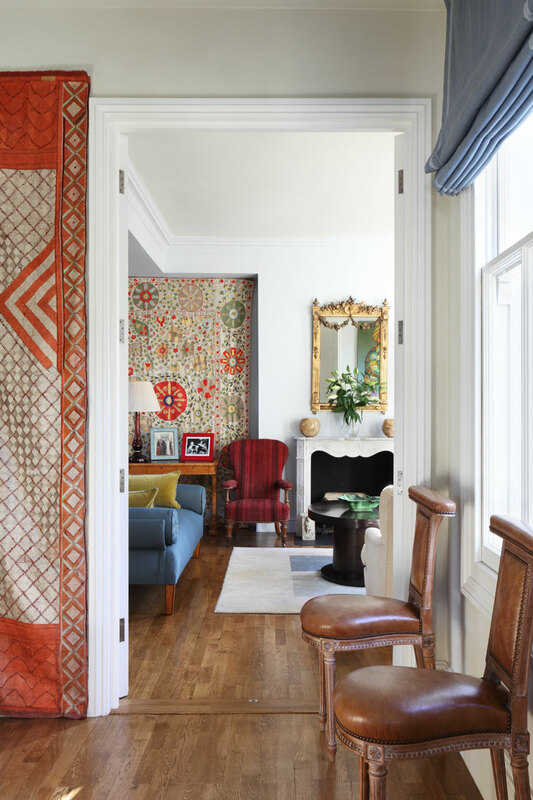 Most interior designers will encourage clients to budget separately for fine art and antiques. 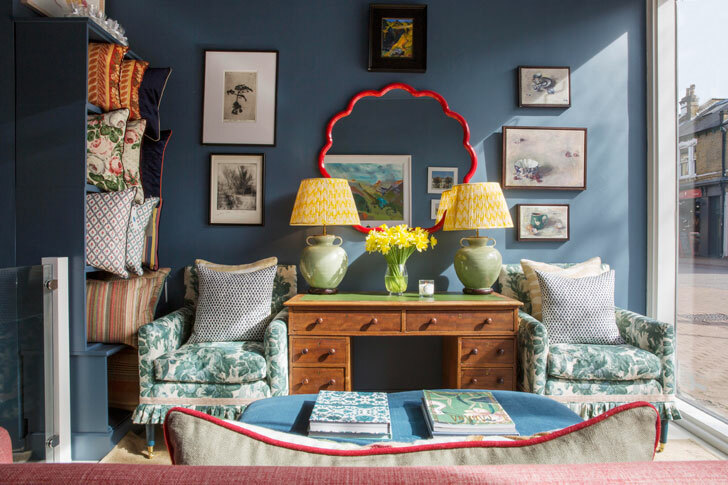 ‘We always advise that they have one budget for the project and another for art and antiques, especially if they intend to buy a special piece,’ says Nicole. 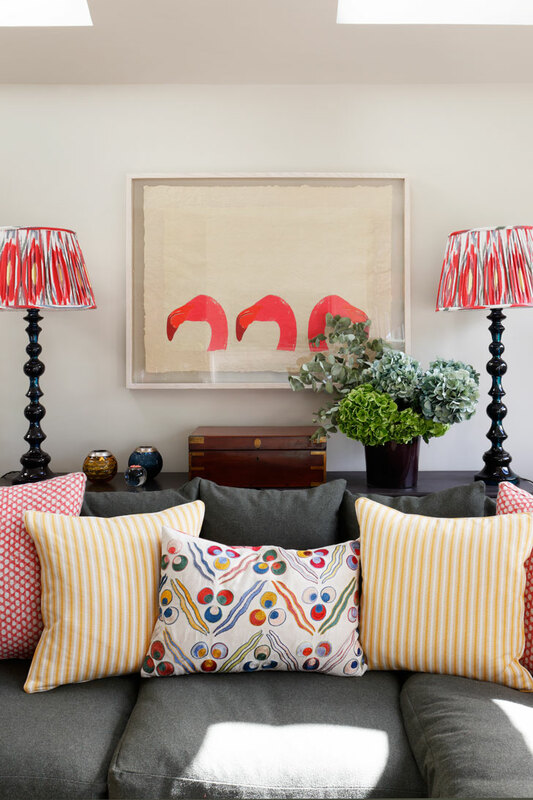 She works with various art consultants who operate at different levels and who can source work suited to different budgets, from inexpensive vintage and fine art prints (‘perfect for back rooms or little areas that need to be filled’) to investment pieces. Following a meeting with the client, the consultant will put together a pack of options for them to consider. Nicole points out that some of her larger projects can take up to two years, so there is no hurry to make a decision. She cites a recent example where a predominantly green painting with a green frame hung in a drawing room for years. The client was tired of it and it didn’t suit the interior, which was not green at all. Once it was reframed in a French polished mahogany frame, it suddenly worked in the space and the client loved it again. Nicole has good relationships with a variety of framers from less expensive to the more costly, depending on what’s required. A simple off-the-shelf frame for a child’s bedroom would suit one framer, whereas as new frame for a larger, investment piece would suit another. Next time, we consider lighting in an interior design project.